The final season of ‘Game of Thrones’ is coming and while the hit-fantasy series isn’t something we typically cover at Bookstacked, there’s no escaping the hype surrounding the fate of Westeros! But even though we’re so close to the end, there are still a couple of days before the premiere of the final season — and how are we supposed to cope with the week-long waits between each episode? We suggest getting in touch with your inner Sam and reading a good book or two! 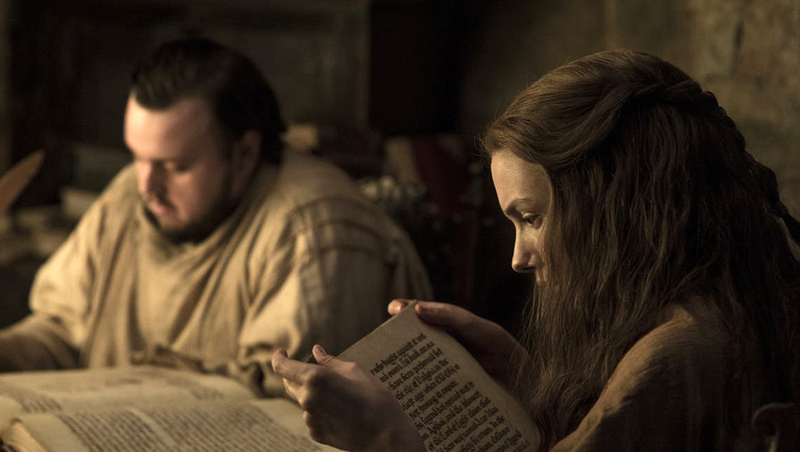 So here are eight book series that will get you pumped for the final season of ‘Game of Thrones.’ Like George R.R. Martin’s bestselling series, these books tap into fantasy and the intrigue of politics. But don’t worry. Some of these books might be best for slightly older audiences but none are quite as “mature” as A Song of Ice and Fire. There, Laia meets Elias, the school’s finest soldier—and secretly, its most unwilling. Elias wants only to be free of the tyranny he’s being trained to enforce. He and Laia will soon realize that their destinies are intertwined — and that their choices will change the fate of the Empire itself. Lyra is rushing to the cold, far North, where witch clans and armored bears rule. North, where the Gobblers take the children they steal–including her friend Roger. North, where her fearsome uncle Asriel is trying to build a bridge to a parallel world. Can one small girl make a difference in such great and terrible endeavors? This is Lyra: a savage, a schemer, a liar, and as fierce and true a champion as Roger or Asriel could want–but what Lyra doesn’t know is that to help one of them will be to betray the other. I mean… how can I not include this one on the list? Ok, not strictly fantasy but still. so. incredibly. good.